My natural hair is 1 year this month. 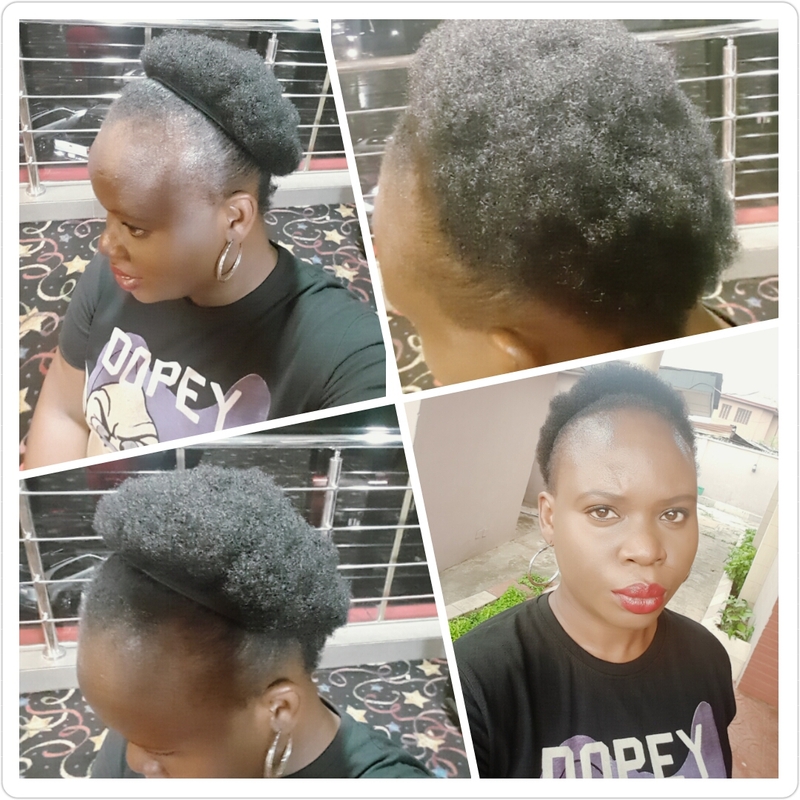 Today I'm sharing with you my natural hair journey. I love my hair. Its progress wows me every time. This journey has taught me a lot of things about myself and my hair. Before I went natural, I didn't use to take care of my hair. My philosophy was 'If it breaks, it would grow back'. Whenever I had to relax my hair, I bought any cheap relaxer the stylist recommended (except Ozone Relaxer. I used it once and my scalp burnt so bad, I had to rinse it off with ice water). I didn't moisturize my hair or seal my ends. My hair was in bad shape. It was always breaking, I couldn't run my fingers or a comb through my hair without losing a lot of hair. I'm trying to paint a picture for you guys. DEC, 2015: I had not big chopped my hair here. My hair was relaxed in this picture. 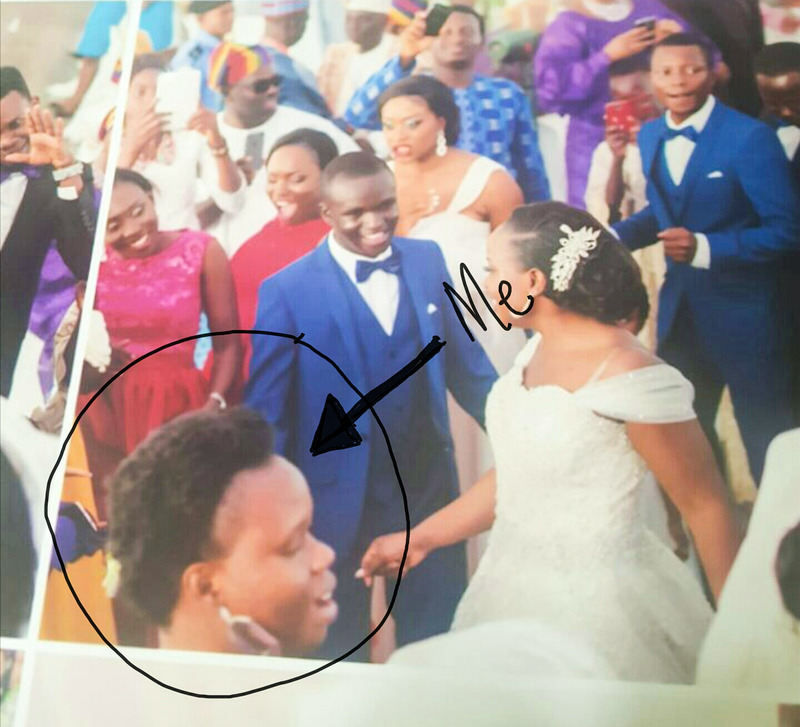 I attended a wedding in December 2015 and that's a picture of me and my receding hair line in their wedding album. It is what inspired me to take my hair care game seriously. I just knew I had to take better care of my hair if I wanted any left by the time I clock 45 years and I decided to go natural to see how strong and healthy my natural hair can be if I take proper care of it. Big chop is hair lingo for cutting ones hair. I big chopped my hair on the 9th April 2016. For me, cutting my hair signified a fresh start. Not just for my hair but for my whole life. How many women feel that way? Leave your thoughts in the comments. After my big chop, I was eager to learn how to care for my hair and grow my edges. So I started reading blogs (CurlyNikki and NaturallyCurly) and watching YouTube videos. I would later learn that I could have transitioned from relaxed hair to natural hair and then trim off the relaxed ends when I get to my natural hair length goals. I read a lot of natural hair girls write this on their blogs and its very true for me too: My hair has taught me PATIENCE. Healthy hair and full edges take time and effort guys. I have to be patient and let the products and hair care routine do its magic. Its very easy to compare my hair to Instagram natural hair girls and become frustrated with my hair but I refuse to let another woman's hair give me a headache over mine. My hair has also taught me that information is very useful in making progress and Google has the answer if you'll only ask. 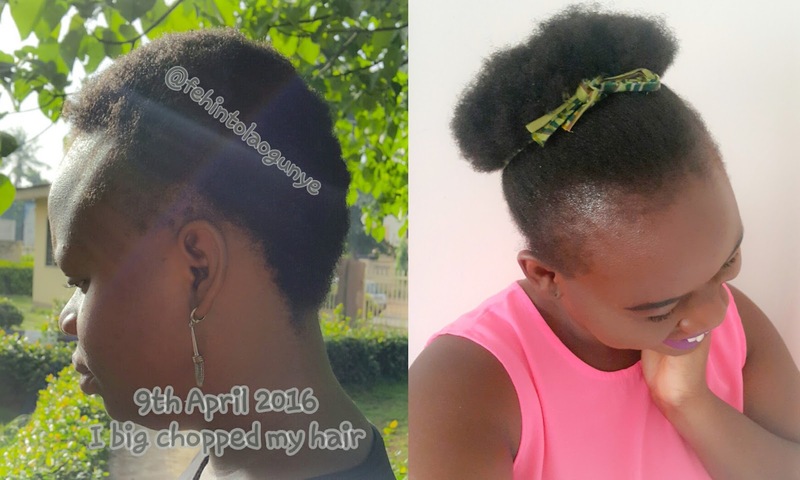 After my big chop, I typed 'how to care for natural hair' in Google and I was amazed at the wealth of information I found online. I found CurlyNikki and NaturallyCurly website via Google. I read and watched products reviews, DIYs and hair care routine. I learnt how to make my hair stronger so as to stop breaking (tea rinse) and how to grow my edges (castor oil). It also taught me that when I make up my mind to try something new, my enthusiasm is 100%. 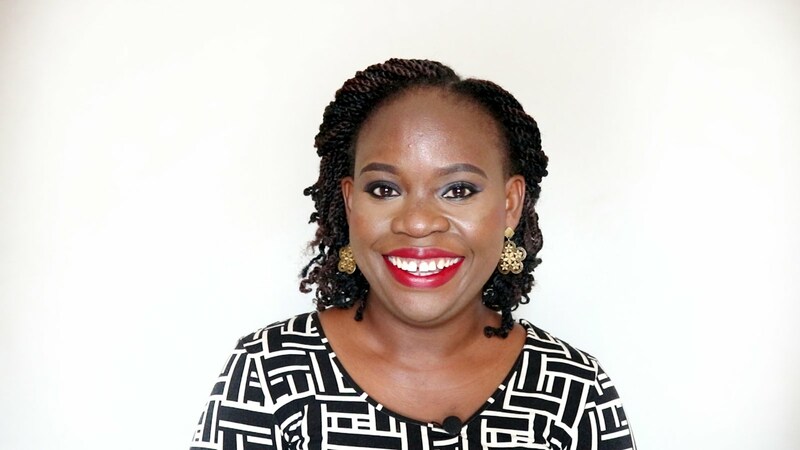 I'm online reading articles on what to do to care for my hair; sometimes very early in the morning or very late at night. I'm looking for DIY recipes on Pinterest, hair blogs or YouTube. The first 6 months after my big chop was filled with a lot of research and reading. I think after 1 year I can safely advice any newbie natural hair girl. My first advice is KNOW THY HAIR. Take your time to study and know your own hair. Read on how to know your hair porosity and hair type. This information will help you with how to take better care of your hair and what products are best for you to use. Second advice is DON'T COMPARE. I joined a BBM hair channel and a girl posted a picture of her hair growth 3 months after her big chop. Guys, I almost had a headache. Her hair was so full, a lot of people on the group were doubting her claim. We sometimes forget that genetics plays a big role in hair growth. For some people, their hair grows like weed without the help of any 'holy grail' product and some of us we have to add 'fertilizer' to our hair before it grows. I believe that if you know your hair, are taking good care of it and you are patient, your hair will grow. What you need to concern yourself with is hair retention (how to keep the hair that grows). Third advice is DON'T BECOME A PRODUCT JUNKIE as a newbie. It's very easy to become a product junkie. When I talk about products I use, you'll understand how easy. As a newbie, buy only the essentials (sulfate free shampoo, conditioner, deep conditioner, leave-in conditioner, oil and styler) and before you purchase any product, read and watch a lot of reviews of the products online. A lot of natural hair girls have used their hair as guinea pig so that you and I won't make any mistake. Read and listen to what they have to say before you spend loads of money on any product. Some of their reviews are honest reviews because of the trust they have built with their audience. The more you learn and know of your hair, then you can introduce new products to change things a little to boost growth and help with retention. Fourth advice WATER IS BAE. Use water to moisturize your hair, a light spritz from your spray bottle will do; every day or every other day. Ensure that water is the first product in your leave-in conditioner (check the ingredients). When I had a tweeny weeny afro or TWA (hair lingo for short hair), I poured water on my hair every morning. Then I applied coconut oil and leave-in conditioner, making my hair soft and manageable to comb and style as I want. Bonus advice, DON'T BANKRUPT YOURSELF ON BUYING HAIR PRODUCTS. I have to literally remind myself whenever I read of another 'wonder product'. Sharing is caring: Share in the comments if you are a natural hair girl or a relaxed hair girl and how you care for your hair. If you're natural, what inspired you to go natural and for my relaxed hair girls, do you ever think of going natural? BEAUTIFUL! I love your natural hair! I too am on the same journey!